– Since the opening round went to best-of-seven, number two seeds hold a 23-1 series record. The only loss by a two seed in either conference in that time was Dallas losing in six games to seven seed San Antonio. – The Rockets and Mavericks have met twice before in the playoffs, with the Mavericks winning both series. In 1988, Dallas topped the Houston in the first round, 3-1. The only game the Rockets won in that series was game 2, when both Hakeem Olajuwon (41) and Sleepy Floyd (42) topped the 40-point mark. That was only the second time in NBA playoff history with two teammates scoring 40 points or more. The previous occurrence was in 1962, when Elgin Baylor (45) and Jerry West (41) did it with Los Angeles at Detroit (3/19/62) in Game Four of the Western Semifinals (Pistons won, 118-117). It has happened twice since Floyd and Olajuwon did it in 1988. Olajuwon was involved once again as Clyde Drexler (41) and Olajuwon (40) did it vs. Utah in Game Four in the first round with Houston winning 123-106 (5/5/95). Pacers’ teammates Reggie Miller (40) and Jalen Rose (40) did it in Game One of the eastern conference semifinals in 2000 (Pacers won 108-91). Dallas beat Houston again in 2005, 4-3, including a 40-point win in game seven in Dallas, 116-76. 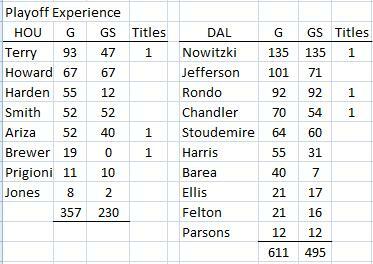 Both Mavericks series victories came as the better seed. 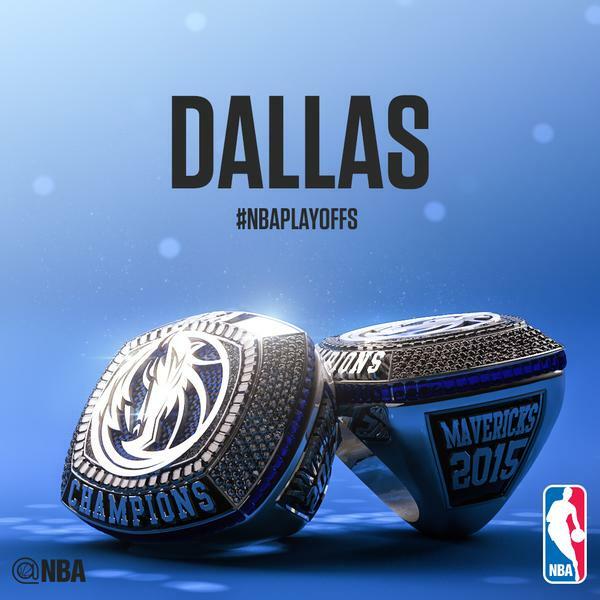 In 1988, Dallas was the 3 seed and in 2005, Dallas was the 4 seed. – Since 2010-11, home teams in the first round have seen their winning percentage drop each season. – Only two of the 16 playoff teams went undefeated in overtime games this regular season. Dallas was 6-0 and their first round opponent, Houston, went 5-0. – Houston was second in the league in fast break points per game (18.73), while the Mavericks allowed the second most fast break points per game (15.87). Houston may not be able to exploit that advantage since they allowed 15.28 fast break points per game, which was third most in the league and the Mavericks offense was just a couple of spots back of Houston, scoring 15.97 fast break points per game, good for fifth in the league. – Craziest of crazy stats: Rockets allowed opponents to shoot better than 44.7 percent from the floor in exactly half their games. Houston was 16-25 in those games. 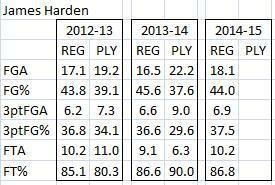 So when opponent shot 44.7 percent or less, Houston was an astounding 40-1. The one loss? Yep, the Lakers. Los Angeles beat Houston, 98-92 on November 19, despite shooting just 40.7 percent. 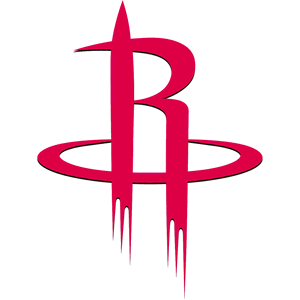 Houston won their last 36 games when holding their opponents to 44.7 percent shooting or worse. Houston held Dallas to 44.7 shooting or worse three times – they won all three games. 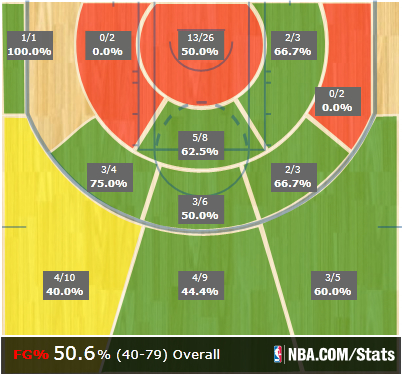 Dallas shot above 44.7 percent once against Houston and won that game. – Dallas was 26-20 (.565) in games they played with Rondo and 24-12 (.667) in games he missed or were played prior to his arrival. Boston was 8-14 (.348) in games Rondo played, then 32-28 (.533) in games he missed and after he was traded. So when Rondo played his team won exactly half their games (34-34), but when he didn’t play, they were 56-40 (.583). – When Mavericks forward Charlie Villanueva checks into a game in this series, he’ll take his name of the top of the list of active players with most games played without playing in a aplayoff game. He’s in in 594 games without a playoff appearance, which was fourth most on the all-time list. Jason Thompson (Sac) with now top the list with 541 games played with no playoff appearances. Teammate Al-Farouq Aminu was eighth on the list with 377 games played. – Dwight Howard and Tyson Chandler are the two most accurate field goal shooters in the playoffs among active players. Howard is number one at 59.4 percent, while Chandler is next at 55.8 percent. Chandler’s teammate Amar’e Stoudemire is seventh on the list at 51.4 percent. – In his playoff career, Trevor Ariza boasts a 44.2 percent shooting mark (73-165) behind the 3-point line. That’s second-best among active players (Danny Green, 44.8 percent). Ariza was 25-of-56 (.446) on 3-pointers last season in 11 playoff games with Washington and posted a 62.6 true shooting percentage, the best of any of his five trips to the postseason. The NBA sent out some figures regarding the use of the NBA Replay Center. While it was created to enhance the performance of NBA referees, reduced the average time of reviews by more than 50 percent compared to the previous season. Over 51 percent of the plays looked at by the Replay Center were the combination of two-point/three-point made field goals and end-of-period made field goals. Those two types of plays also required the two shortest average replay times. The NBA Replay Center conducted 2,162 reviews, averaging 42.1 seconds. 1,596 replays were upheld or overturned. 80.8 percent of these calls were upheld (1,289) while 19.2 percent were overturned (307). NBA Replay Center monitored a total of 1,225 games, averaging approximately 1.76 reviews per game. 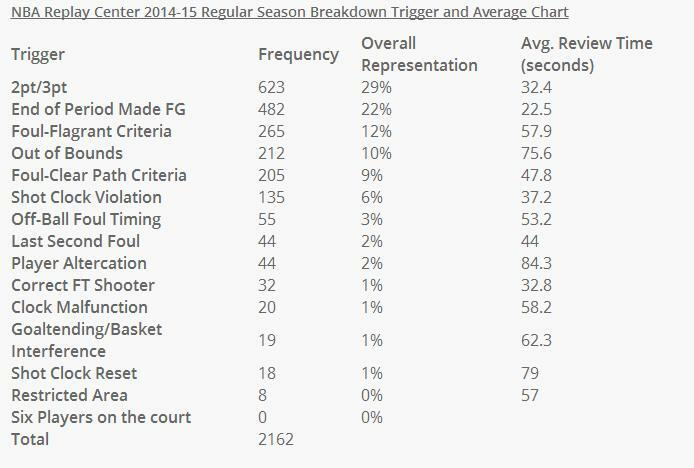 The top two triggers the NBA Replay Center reviewed this season were the two-point/three-point made field goal (623 instances) and end-of-period made field goal (482 instances). 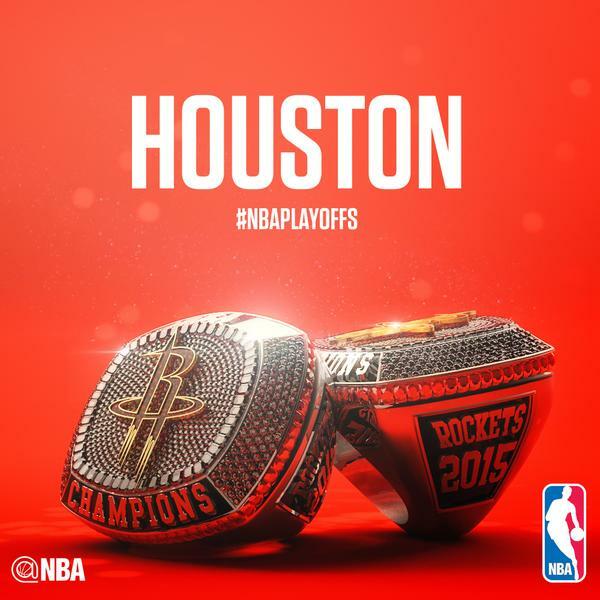 The Rockets finished the regular season as southwest division champs. They finished a game better than Memphis and San Antonio, six games better than Dallas and 11 games better than New Orleans. They split their four games with Memphis and New Orleans, while losing three of four games with San Antonio. The only team in the division that they won their season series with was Dallas, whom they beat three times in four games. Yet, NBA on TNT analyst Charles Barkley called the Rockets-Mavericks series a toss-up, along with two other western conference series. “There are some magnificent first round series in the West that are toss-ups for me; Clippers/Spurs, Dallas/Houston and Portland/Memphis, depending on health.” Barkley said on a Thursday conference call. The Clippers and Spurs split their regular season series and were only separated by one game in the standings, the Clippers won their most recent meeting, 119-115. That looks just like Barkley described – a toss-up in which the Clippers have homecourt advantage. Memphis won all four of their regular season games against Portland, including a double digit victory in both team’s home arena. While both teams have significant injury concerns, this would not look like a toss-up. The Rockets – Mavericks series seemingly fits somewhere in the middle as each of the three series matchups are indicative of a highly competitive conference. So what makes the Mavericks a tough matchup for the Rockets? Somewhat interesting that he’d consider Rondo the Mavericks third best player and not Chandler Parsons. Parsons was supposed to be the key offseason addition for the Mavericks, hailed by many in Dallas, as the player set to receive the Mavericks torch from Nowitzki. 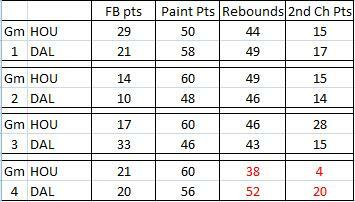 The small forward finished third on the team in scoring at 15.7 points per game. 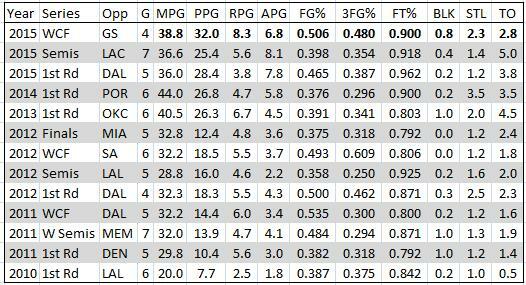 He finished fourth among the starters in PER at 16.4, behind Tyson Chandler and Nowitzki, but well-ahead of Rondo. Parsons missed the final six games of the regular season with a knee injury, but is trending towards being available for game one Saturday, according the Carlisle, though how effective he will be remains to be seen. Now the Mavericks, despite losing three of four games, were only outscored by Houston by four points overall. But as the Mavericks defense became less stout over the course of the season, that was mirrored by Houston’s scoring against them in the four games. Houston scored, in succession, 95, 99, 100 and then 108 points in the four games with the Mavericks. While both teams made significant changes throughout the season with player acquisitions, it’s as if the Rockets will be making one more for this very series. Dwight Howard missed all but one meeting with Dallas, and played just 18 minutes in that game. But that game also was Houston’s seven point victory earlier this month – their largest margin of victory in their three wins against Dallas. Barkley also shared his thoughts on the MVP award. He conceded what many others acknowledged over the last month – he believes it’s a two-horse race. That would seem to be what the vast majority of the 130 voters were thinking as their ballots were due into the league offices on Thursday. A small number in that group have publicly disclosed who they gave their MVP to, and just one voter thus far, a Cavaliers beat writer, acknowledged that his first place MVP vote was going to LeBron James. So clearly not all voters feel as Barkley does, but when the award is given out in May, it would be completely shocking if Harden and Curry did not earn the top two spots.